2019 Honda FIT LX HATCHBACK 2WD 1.5L I4 WITH ONLY 876 MILES AND FULL FACTORY NEW CAR WARRANTY, LOT'S OF ROOM FOR YOUR TYPICAL COLLEGE STUDENT AND GREAT GAS MILEAGE @ 44 MPG, POWER OPTIONS, REAR BENCH SEAT, REAR BACK-UP CAMERA, TRIP COMPUTER, KEY-LESS ENTRY, SECURITY SYSTEM, REAR SPOILER, EXTRA SHARP!! 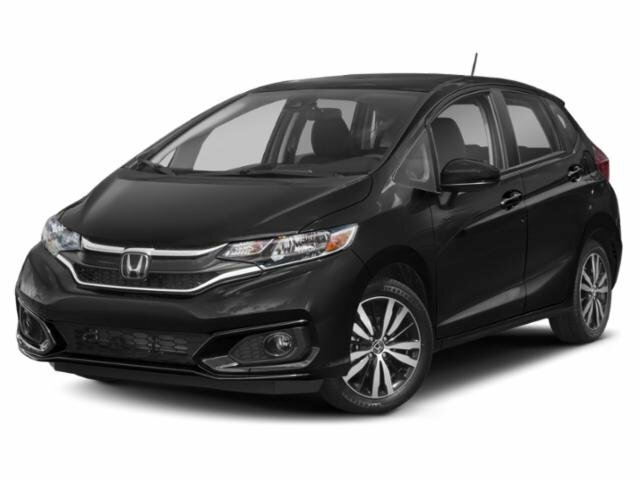 2019 Honda FIT EX CVT 1.5L I4 WITH PREMIUM CLOTH SEATS, SUN / MOON-ROOF, LED FOG LAMPS, REAR SPOILER, BACK-UP CAMERA, DAYTIME RUNNING LIGHTS, KEY-LESS ENTRY & START, SMART DEVICE INTEGRATION, BLUETOOTH CONNECTION, SECURITY SYSTEM, LANE DEPARTURE WARNING, H.D. SATELLITE RADIO, ADAPTIVE CRUISE CONTROL, LANE KEEPING ASSIST, BALANCE OF NEW 36/36,000 MILE FACTORY WARRANTY!! CPO, Navigation, Heated leather seats, Moon-roof, Sony audio, rear view camera, Remote start, Sony audio, Intelligent access with push button start!! 1-Owner, Clean Carfax, FWD, Cloth, 2.0L, keyless entry, back up camera, power equipment group, premium wheels, Low miles!! One Owner, Clean Carfax, Navigation, 10-Way Power Adjustable Driver's Seat, 2 USB Center Console Chargers, 8-Way Power Adjustable Passenger Seat, Blind Spot Detection (BSD), Heated Front Seats, Heated Outboard Rear Seat Cushions, Heated Steering Wheel, LED Front Fog Lights, LED Positioning Lights, LED Tail Light & CHMSL, Power-Folding Exterior Mirrors, Radio: harman/kardon AM/FM/MP3/SiriusXM Audio, Rear Cross Traffic Alert (RCTA), Tech Package, Xenon HID Low-Beam Headlamps w/Auto-Leveling. Clean Carfax, One Owner, Backup Camera, Passive Entry Remote Start Package, Passive Entry/Keyless Go. AWD, Heated seats, Rear view camera, Apple car play, Blind spot sensor, Key-less entry and exit!! CPO, 7 year 100,000 mile powertrain warranty, Panoramic moon-roof, Heated seats, Power seat, Rear view camera, Sirius XM radio!! CARFAX One-Owner, 4WD, 3rd row seats Alloy wheels, Exterior Parking Camera Rear, Remote key-less entry, Steering wheel mounted audio controls, 24/29 City/Highway MPG!! Clean Carfax, 1 Owner, Local Trade, Backup Camera, Dual-Zone Electronic Automatic Temperature Control, Fusion SE Technology Package, SYNC 3 Communications & Entertainment System. 2018 CHEVROLET CRUZE LT W/1SD 1.4L I4 TURBO-CHARGED...REMOTE START...BALANCE OF NEW CAR 36/36,000 MILE FACTORY WARRANTY...KEY-LESS ENTRY AND START...7" DIAGONAL COLOR TOUCH SCREEN...APPLE CAR PLAY...HEATED FRONT SEAT'S...SECURITY SYSTEM...MP -3 PLAYER...REAR BACK-UP CAMERA...TRACTION & STABILITY CONTROL...DAYTIME RUNNING LIGHTS...SATELLITE RADIO...WI-FI HOT-SPOT...REMOTE TRUNK RELEASE...EXTRA SHARP!!!! 3rd row seats: bench, Alloy wheels, Exterior Parking Camera Rear, Fully automatic headlights, Perforated V-Tex Leatherette Seating Surfaces, Power driver seat, Remote key-less entry!! Clean Carfax, 1 Owner, Local Trade, 6-Speed Automatic, Dual-Zone Electronic Automatic Temperature Control, Equipment Group 201A, Fusion SE Appearance Package, Fusion SE Technology Package, Rear Spoiler, Wheels: 18" Magnetic-Painted Aluminum. Heated leather seats, 8.4 inc touchscreen, 19 inch alloy wheels, Alpine premium stereo, Third row seating, 3.6 liter V-6! !